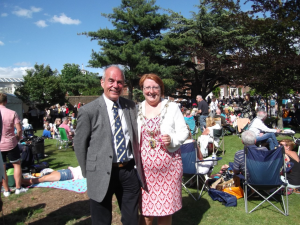 On Sunday 11th June 2017 the Town Mayor was a guest of the Mayor of Havering at his summer concert which was held in the grounds of Langtons House, Hornchurch. 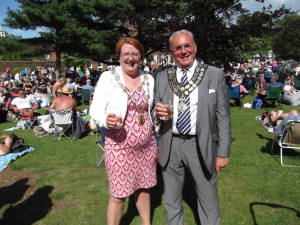 Other guests included the Mayor of Castle Point and many other local mayors. Although windy, the weather was kind which was fortunate as this was an open-air event and free concert for members of the public to enjoy.